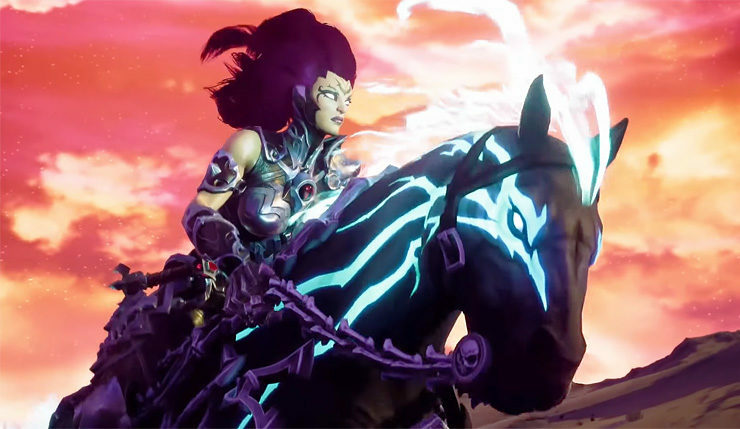 Darksiders III protagonist Fury is one of the Four Horsemen of the Apocalypse, so where the heck has her horse been? We’ve seen plenty of trailers and gameplay from Darksiders III, and in none of it is our Horseman (er, Horsewoman? Horseperson?) riding her horse. Well, that changes now! THQ Nordic has released a new video showing Fury chumming around her horsey, who, appropriately, goes by the name Rampage. It’s a rather lovely trailer, and makes good use of the America classic “A Horse With No Name,” so I suggest you check it out, below. Hmmm, now is this trailer just Darksiders III developer Gunfire Games having fun/being a bit artsy, or does it hint at some larger, more open environments for the game? So far, pretty much all the Darksiders III footage we’ve seen has taken place in somewhat cramped corridors and catacombs. It’s clear this trailer was made in-engine, and creating this whole desert environment just for a 90-second trailer sure seems like a lot of unnecessary work. It will be interesting to see how Rampage is integrated into the game.